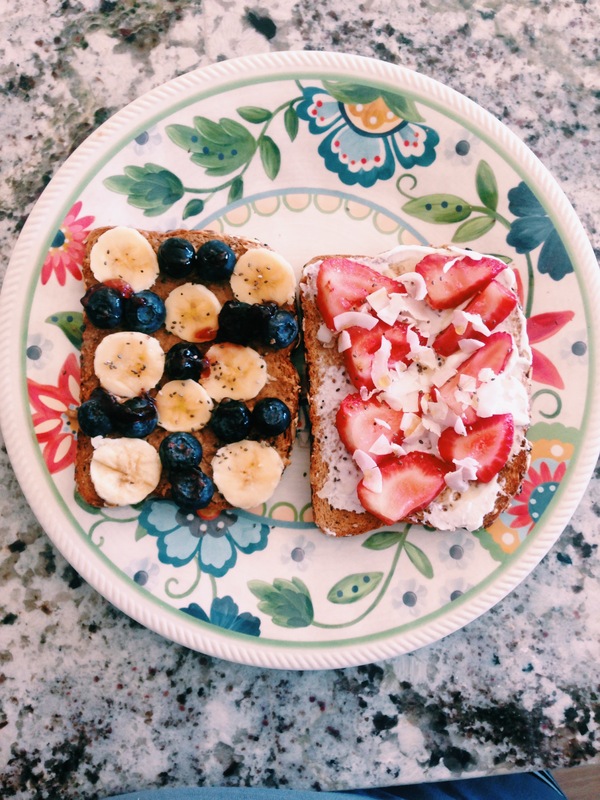 Ok so we’re trying something new: Toast Tuesday. This way, you can expect a new & unique toast recipe every Tuesday (Make the Most of Your Toast) cuz let’s face it, #webesnackin. But first, we need to give credit where credit is due. The ever-so-clever name of our category, Make the Most of Your Toast (all in favor of ™’ing that? ), was named by Weezie’s teammate, roommate, co-captain, and friend Taylor Craig. Bravo, Craig. You’ve done it again. 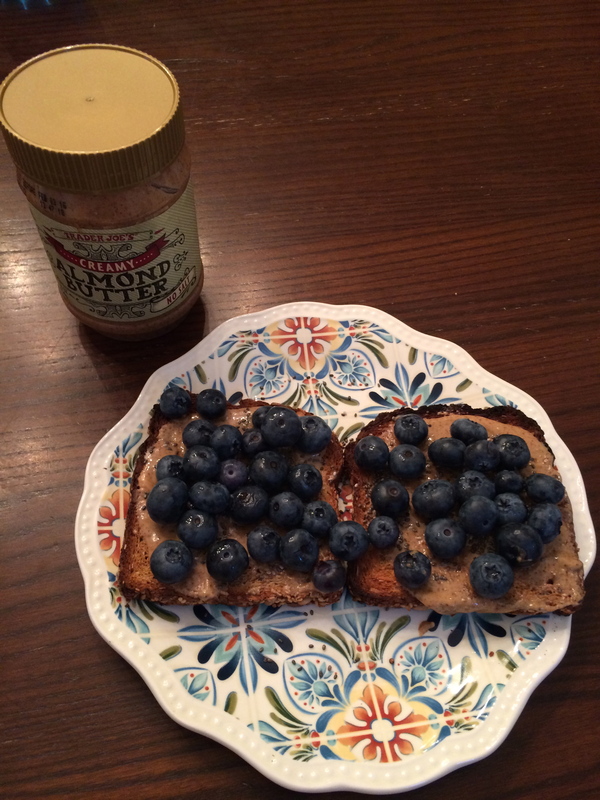 seriously the easiest and best tasting breakfasts ever….and oh so simple too. Pick a base. We usually use some kind of a nut butter or plain greek yogurt. 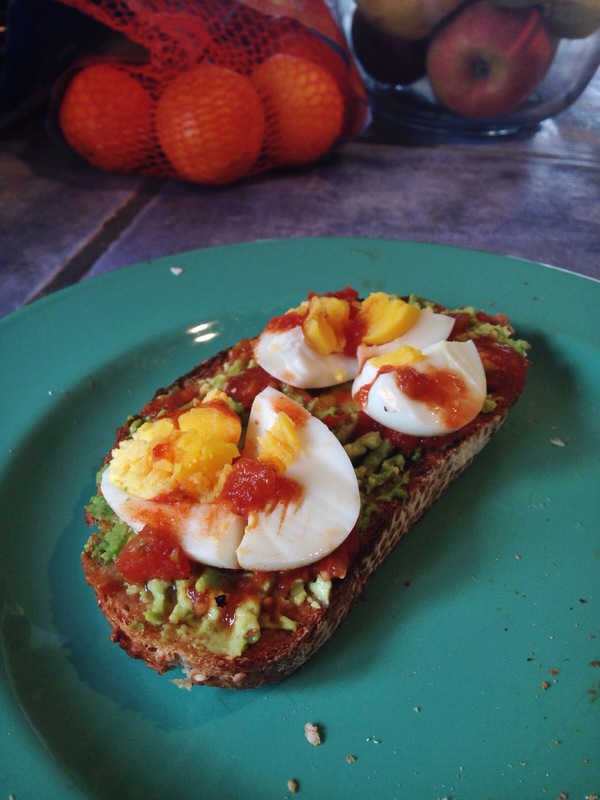 Avocado and/or olive oil are other really good bases for a more savory toast option. 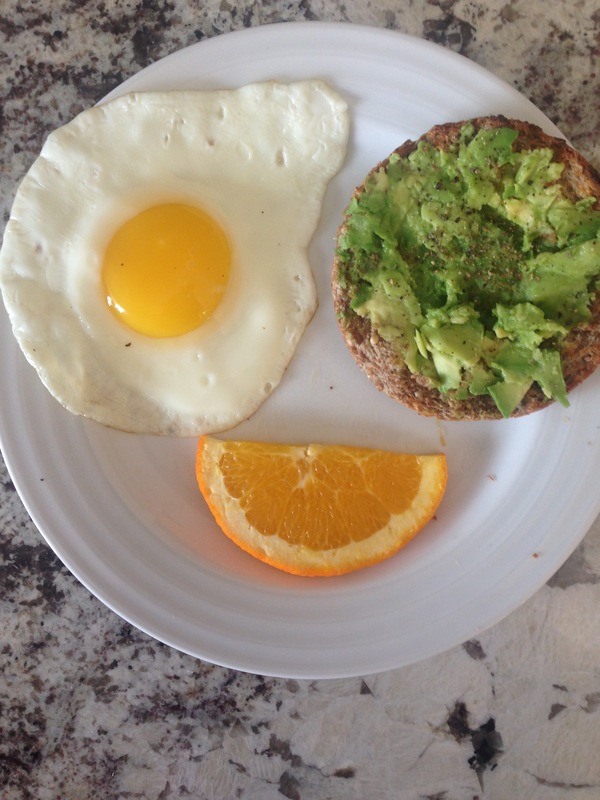 Here I just smeared avocado on an Ezekiel english muffin…added black pepper and chia seeds. 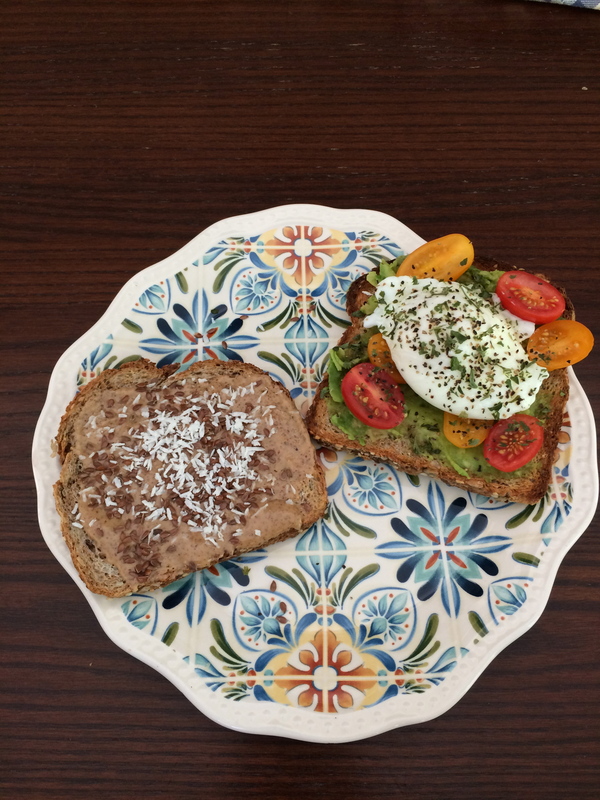 I eat the sunny side up egg on top of the toast…takes maybe 5 minutes to make and this one definitely keeps me full the longest.